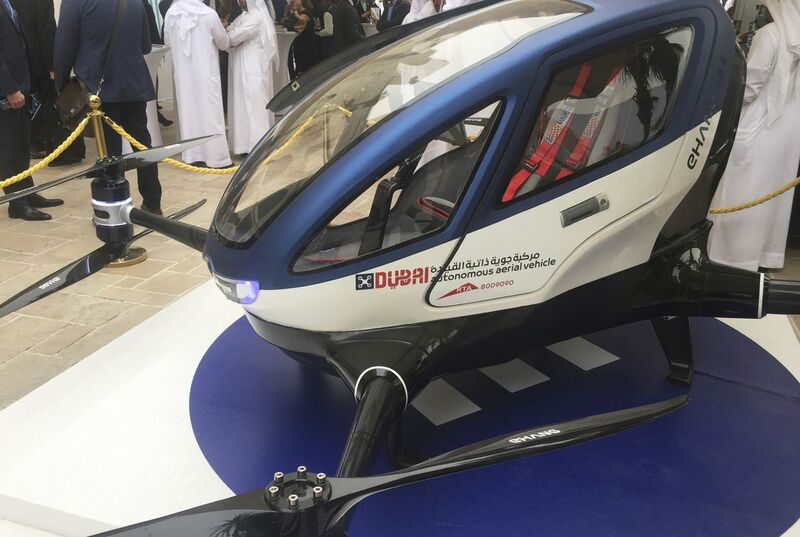 Flying cars have long been the hallmark of a not-yet-realized fantastical future, and though it seems we are not there yet, you may want to fasten your seatbelts, as Leslie Josephs reports for Quartz: Dubai will offer self-flying taxis by July. OK, so they're not what you might think of as a car. Rather, the taxis are drones that propel themselves and a single passenger up to 31 miles at a speed of over 99 miles per hour. But the vehicles might just usher in an era of roadless travel. The announcement came during a government summit in Dubai that was, in part, devoted to the future of traffic. Dubai's plan is futuristic indeed. In a release, the city's transportation authority writes that the city plans to make a full 25 percent of its travel autonomous by the year 2030, and the taxis are part of that plan. Called the EHANG 184, they are produced in China. The electric craft can fly to a single point designated by the passenger once they enter the vehicle. 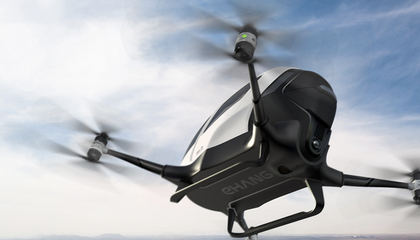 On its website, EHANG writes that the automated vehicles are prevented from taking off during severe weather and that they can fly for up to 25 minutes with a payload as heavy as 220 pounds. However, Engadget reports that the craft has been updated and can now fly for five more minutes and hold 40 more pounds. They include air conditioners and a futuristic-looking seat, not to mention the potential for spectacular views of the United Arab Emirates' most populous city. The taxis have already been tested in Dubai, reports Josephs, and the city is all about the travel of the future with a driverless metro and plans to study a potential future hyperloop system. How much will the taxis cost? How will Dubai manage hailing and fares? Those details are unclear, but one thing is, and it is that the future (kind of) has arrived. This sounds really cool but I personally wouldn't use it. I think that it seems very useful and that many people will use these. This would definitely help people get to places quicker. Seeing this article title immediately reminded me of the book Brave New World. In the story, the characters all have their own planes to fly from place to place and using a car is unheard of. It is neat to be living in a time where something this advanced can become a reality. I can relate because certain game systems or controllers have a limit to how long they can be used. There is so many things we can do to improve it but we still have not accomplished all the possibilities, but we know enough to make the flying taxis. People have been talking about self-driving cars for a while. Now Dubai has self-flying taxis. This would be cool to try but it would make me nervous. The range of the self-flying taxis is limited because it does not have enough fuel. If they put more fuel in, then it becomes less effective. That is why it cannot go more than thirty minutes. The range of self-flying taxis are limited because there are many people who are not as wealthy, and the fact that it may break down.